These announcements are the latest in a string of similar moves from other counties which have attempted to push back on the federal government’s interpretation of its Secure Communities program. 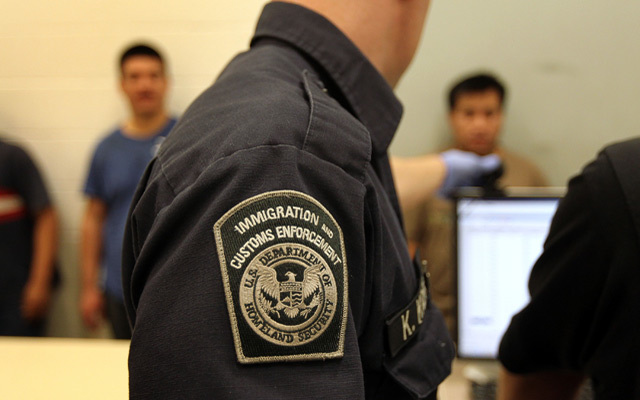 S-Comm, as the initiative is often called, allows immigration officials to check the fingerprints of everyone booked into a local or county jail against federal immigration records. Even if the person is wrongfully arrested or never charged with any crime, they become subject to deportation if they’re found to be undocumented. If a match is found, Immigration and Customs Enforcement — if it doesn’t already have an agent posted inside the local jail — will call local law enforcement and ask them to detain a person while ICE agents come down to the jail to take them away for detention proceedings. This entry was posted in Press (California), Press (Washington DC) on October 25, 2011 by Ian.